The members of our team prove their knowledge and experience by the passing certification programs. 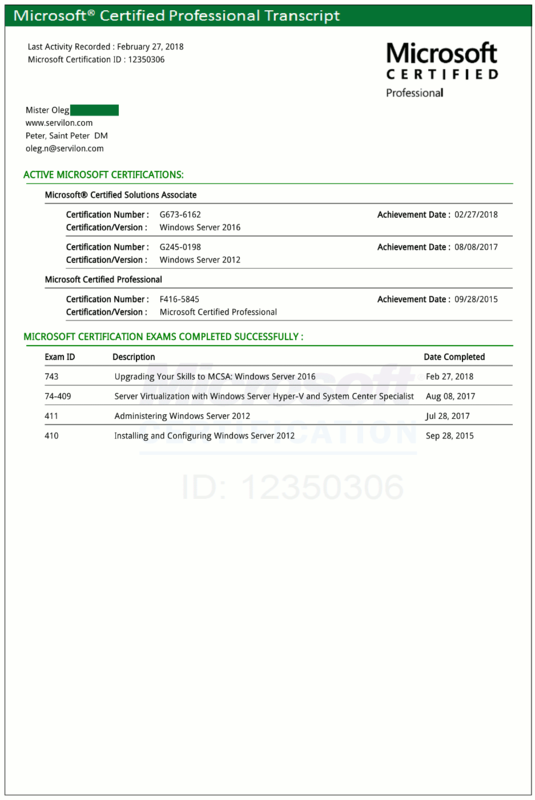 This time MCSA: Windows Server 2016 (70-743) has been successfully completed by one more specialist. This exam covers key aspects of installation, storage, compute, networking, and identity functionality available in Windows Server 2016. And proves the mastery of the primary set of skills required to reduce IT costs and deliver more business value.